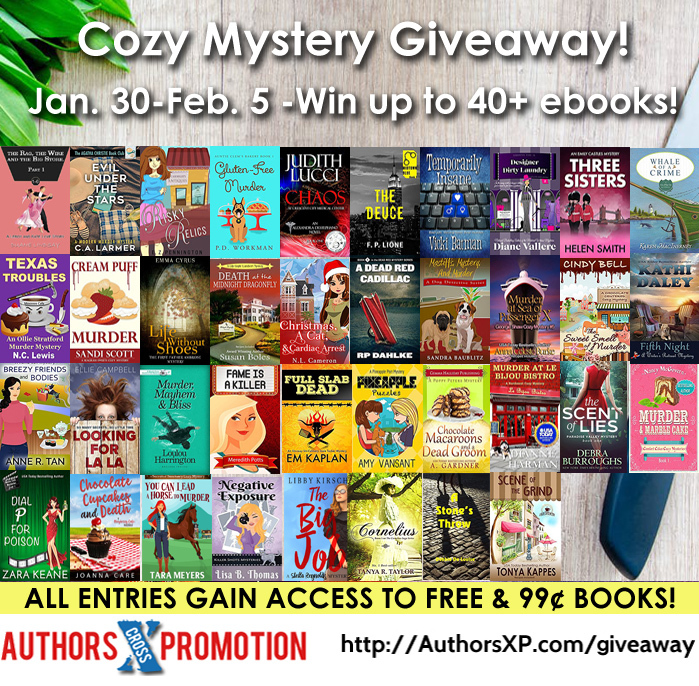 Calling all cozy mystery fans. Warning, Cathy's on the loose! Publishing globally on April 9th, 2016 by Across the Pond Press. Yes, the secret’s out. Cathy’s back and this time our madcap housewife, mother and wanna-be sleuth is MEDDLING WITH MURDER in our third cosy Crouch End Confidential mystery series that started with LOOKING FOR LA LA and TO CATCH A CREEPER. And how do you like our stunning new cover from the very talented Design for Writers? In this hilarious stand-alone novel, Cathy’s up to her usual crazy antics, juggling best friends in trouble, delinquent teens, illicit murder weapons, stolen bicycles and drug-dealing yobbos, while masquerading as an extremely inept maths tutor and scheming to derail husband Declan’s plans to move the family to rural Norfolk. Yes, it may help if you’re familiar with the first two books but even new readers will enjoy this one! And you have the chance to read it first for free! We made this offer to our newsletter subscribers and now we feel it’s only fair to extend it to a few of you. If you’re a discerning reader (or blogger) who is interested in joining our Review and Launch Team, drop us a line at chicklitsisters@gmail.com. We’ll send those selected the ecopy of Meddling with Murder in either mobi (kindle), pdf or epub format, in exchange for an honest review on Goodreads or Amazon around publication date. And anyone who contacts us will be entered into a prize draw to win one of our six paperback novels! Meanwhile stay tuned for news of our blog tour and pre-order date on Amazon. It’s only the beginning of the pre-launch fun! 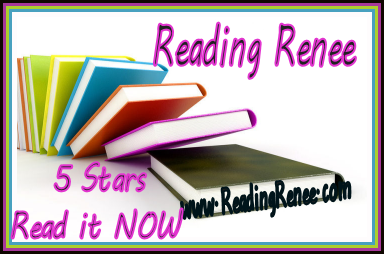 And don’t forget to check out our other co-hosted writers blog at Take Five Authors. Finally, for news of special offers, giveaways and other fun stuff, sign up for our newsletter and/or just follow us at the sites below. And, whew, aren’t you all relieved to see the end of another winter? We just can’t wait for April 9th to arrive! Pam will be flying to the States to join Lorraine in a celebratory bottle or two of bubbly. That’s all, folks. As the horses and the rest of us kick up our heels, we wish you all a happy Spring! Now that the festivities are over, (even if I’ve yet to take down my Christmas decorations), Pam and I wanted to wish you all the most amazing year ever from Ellie Campbell. We’ve also been looking over the events of 2015 and realizing what an action-packed crazy year that was for both of us! I think the collage below gives just a hint. 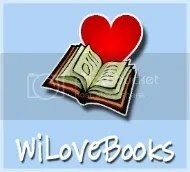 We published our fifth Ellie Campbell novel MILLION DOLLAR QUESTION in April, thrilled by its positive reviews. There were some exciting moments in March as WHEN GOOD FRIENDS GO BAD reached #1 in Amazon Australia and then in May became a #1 best-seller in Humor and Dark Comedy in the UK charts. In June, TO CATCH A CREEPER soared into the Amazon UK Top 100 and LOOKING FOR LA LA was in the Amazon Canada Top 20. MILLION DOLLAR QUESTION got its turn in the UK Top 100 in July and reached #112 in Amazon US. In our other lives, I (Lorraine) attended a wedding in Costa Rica in February while Pam headed to Innsbruck, Austria, proving the biggest hazard on the ski slopes. In Spring, while I assisted Zuma’s Rescue Ranch in saving 23 horses headed for slaughter auction, nursed my husband Gary through two ankle surgeries and acquired a new kitten and six baby chicks, Pam was traveling through Vietnam and Cambodia, encountering our nomadic sister, Jo, along the way. Next stop, Paris, for Pam, venturing out solo by Euro-star and bus to meet her husband who was leading a group of cyclists from Redhill, Surrey on their annual charity bike ride. In June as we hosted a wedding at our ranch, Pam took part on a 3-day 160-mile bicycle challenge from Redhill to the fairy-tale medieval town of Bruges, Belgium. July started for me with an amazing Alaskan cruise, followed by a horse-hauling trip to Oregon and a family visit to Indianapolis, only days apart. Meanwhile Pam cycled 700 miles to Avignon and up the infamous Tour de France mountain, Mont Ventoux for another charity challenge. August found me supporting horse whisperer Anna Twinney at a ROTH Holistic Horsemanship clinic while Pam joined a group of fundraisers walking the length of Hadrian’s Wall. Pam arrived a few days in and just managed to struggle through the last twenty miles before collapsing with cramp. Still she refused a kindly policeman’s offer of a ride to the finish line.Then, just for a change, she and her husband took a holiday in Belgium – yes, you guessed it – cycling again but this time just for fun. She swore she’d never ride another bike again! In October Pam travelled to Barcelona to watch her fitness-crazed husband compete in an Ironman contest – full marathon, ocean swim and 90 km bike ride. November for me involved muchas margaritas in Mexico, and the usual 25 people arriving for Thanksgiving dinner back in Colorado. In December while Pam was catching lots of little Santas at a Santa run I tried my luck at craps in Las Vegas. For us the holidays featured a white and bitterly cold Christmas, more turkey, and our usual zany white elephant gift exchange game. If anyone wants one of these fine discarded presents, they’re up for grabs. The flying pig might be a particular favorite. Sadly 2015 also saw the passing of my 27-year-old Egyptian Arab, Sylvarr, who was my true wonder horse and the best of all steeds. Phew, I’m exhausted just thinking about it. Wonder what 2016 will bring? Look what's on sale in the UK today! Only 99 pence! Hooray! 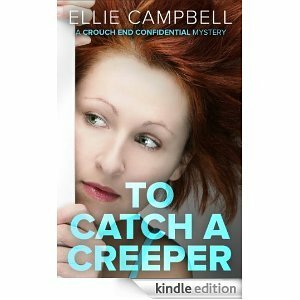 TO CATCH A CREEPER is on sale today as one of Amazon UK’s Kindle Daily deals. All our UK friends, get it while you can…for only 99 pence. Hooray, it’s February and Amazon Australia has decided AGAIN to promote How To Survive Your Sisters, Looking For La La and To Catch A Creeper. Also Amazon UK is also doing a 99 pence sale with Sisters. Pam and I are busy with Twitter and Facebook, trying to spread the word. And I’ve been nominated to update the blog. So once again the day is sliding away from me. Admittedly I sometimes have a little trouble with time management. There may be two of us writing, but at least one of us can always find a million distractions. Seriously intended to write beaucoup pages this weekend until I had an emergency call telling me to bring my horse trailer because 23 horses had to be rescued from feed lot before they were shipped to a kill auction. Of course same estimated 2 hour rescue operation turned out to occupy 3 days, including repairing fences in temporary field, and moving horses yet again two days later. Great sense of personal satisfaction but not a lot of time left for writing. And yes, now that they’re safely installed at Zumas Rescue Ranch they will need training…and homes. My own lovely horses are galloping around, just outside the window, playing in the snow. Is there any sight more beautiful than that? What, you expect me to be staring at a computer screen? It’s all I can do not to run out there and join them. Besides it’s imperative I watch and see no one gets kicked. I need to check my email, Facebook and Twitter and then Google something amazingly trivial. By the time I load up tweetdeck, pick up a package from the post office, (hopefully the saddle I bought on ebay) and drive to the ranch store for horse feed, I’ll be lucky to get any words on pages, except perhaps for this long overdue post. Remy, the wonder dog, wants to go for walk. And I did make that resolution about keeping fit. 10,000 steps, I think it was. Probably got another 9,400 to go. Besides I do have those errands to run. Cat keeps walking all over the computer keyboard, demanding to be petted. Which reminds me her litter box needs cleaning. The kitchen is a mess. And while I am tidying it, I might as well have a snack/lunch/coffee/tea. The laundry basket is overflowing. I’ll be able to concentrate much better without that nudging persistently at the back of my mind. The feed tubs and water tanks absolutely HAVE to be filled before it freezes tonight. Likewise the chicken’s water. And there’s manure to scoop. Might as well start feeding all the animals now. Husband arrives home early, wanting to know what’s for dinner. (Good question.) And why I’m eternally tapping on the computer, filling up Buffer, and ignoring him. Must be time for a glass of wine. And maybe an early night, yawn, yawn. After all I did get up at 5.30 so I could cram it all in. Just let me quickly check this one thing on Google. Given my ability to procrastinate, it’s frankly amazing that we actually have a new novel, Million Dollar Question, coming out this year – and you’ll hear more about that soon, I promise. But all that said, the good news is that three of our books are once again rapidly rising up the Australian Amazon charts… Will they do as well as last time? We have our fingers crossed… Ah, well back to Twitter.